Effectively managing tail spend now can save your organization headaches in the long run. In an organization where there are outlined procurement procedures, roughly 80% of that organization’s total spend will be strategically managed through those guidelines. Those purchases are usually lead by an experienced purchasing professional who will thoroughly vet the potential vendors. They will ensure that the purchase is in compliance with company and industry guidelines, and, once work is awarded, the purchasing professional will continue to audit that relationship. They will make sure that the terms are being met as agreed upon and will continue to rate the vendors work to justify renewing the contract. The remaining 20% of spend usually falls within other areas of the organization which could include HR, Marketing/Sales, Finance, and IT. Typically, purchases within these departments will not follow the same rigorous procurement process since these purchases usually fall below a threshold that would constitute such procedures necessary. In short, tail spend is any spend within an organization that is not strategically managed. These purchases are usually considered low-value which is the main reason why procurement professionals don’t find it as necessary to manage these types of purchases. They are also less frequent and do not warrant enough concern for procurement to get involved. 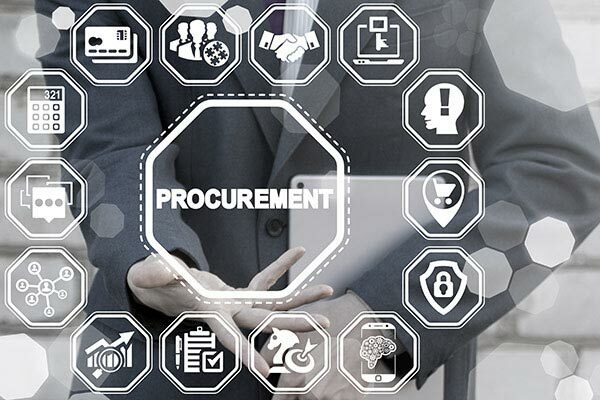 When the purchases in an organization are being strategically managed, they are being thoroughly vetted against the outlined procurement procedures. The purchasing professional makes sure that the vendor relationship won't put the company at risk. With tail spend purchases, just about anyone with purchasing power can execute a new relationship with a vendor. That vendor is being held to little or no standards. This can create two problems: incurring cost on vendors who aren’t giving the best price and creating unnecessary risk. 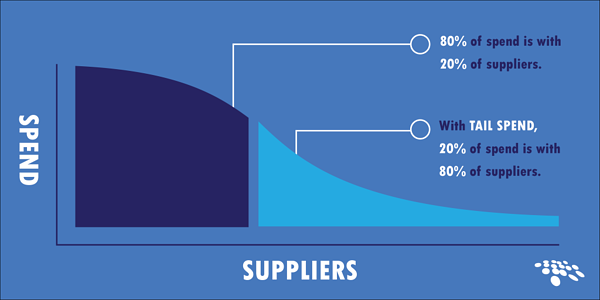 When tail spend purchasers are considering a vendor, they just want to make sure that the vendor is fulfilling a need and isn’t too high in price. Purchasers may also just default to a vendor whom they already have some sort of relationship with. This incurs more cost on the company’s bottom line as purchasers may not be ensuring that the best possible price is achieved. When vendors are not being vetted as thoroughly as they should, purchasers may not know who exactly they’re getting into business with. Say the company has a strict purchasing policy of working with disadvantaged business enterprises, or the vendor engages in illegal labor practices; this opens the company up to risk and compliance issues that can damage the reputation of the company and even compromise future, qualified vendor relationships. Worse, because procurement feels these purchases are too low value to justify the cost of the resources managing them, a lot of these issues will go unnoticed until it’s too late. Tail spend may be so minimal to an organization that they may forget about it altogether. All it takes is one unqualified vendor to disrupt the whole organization. The best way to manage tail spend is to tackle it head on. In doing so, the organization can realize immediate cost savings and eliminate any potential risk. 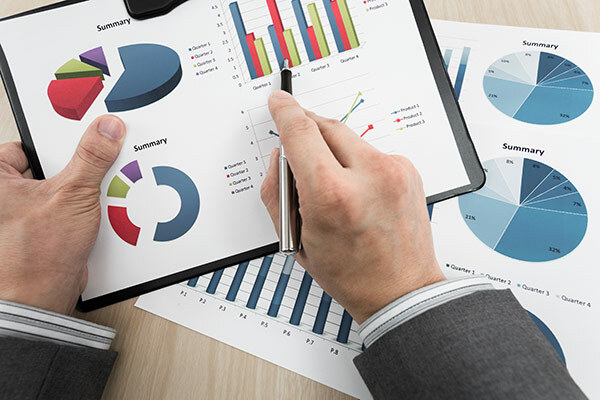 The first steps to effectively managing tail spend starts by becoming aware of the red flags. 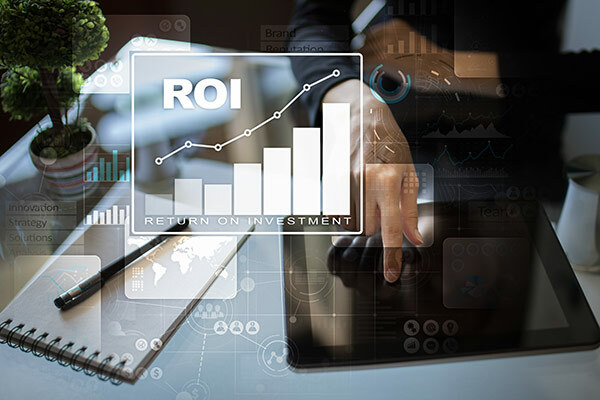 Some indicators of tail spend can include double the number of vendors than there are employees, a large quantity of vendors being added every quarter, and an increasing amount of purchases that are not being strategically managed. By knowing the signs of tail spend that might be getting out of control, there becomes more incentive to address the problem sooner. A rigorous procurement process may not be applicable for all purchases being made within an organization. However, that does not mean that smaller-scale purchases should forgo an approved purchasing procedure. Setting new standards for how vendors are being chosen within a smaller threshold is the first step to mitigating future tail spend risks. The procedures outlined should ensure that the company will be following best practices and guide purchasers to make informed decisions, thus increasing qualified vendors. In a strategic procurement process, vendors are always being audited and benchmarked to ensure they are continually providing value to the organization. Because of this frequency, issues that come up are immediately addressed which leaves little room for surprises. Smaller purchases that may only be needed for a short amount of time still shouldn’t discredit benchmarking. This will allow the organization to see the true value in what they’re paying for – if they need to renegotiate the price – and can justify continuing business with the vendor. Tail spend isn't something to be feared. Taking the steps towards tackling it head on is the step in the right direction. Ensuring that all purchases within the organization are taking some measure to mitigate risk and keep costs low will benefit everyone in the long run.